During the First and Second world wars, boxing tournaments were organised for members of the armed forces. New Zealanders fought one another and also members of the different Allied forces. 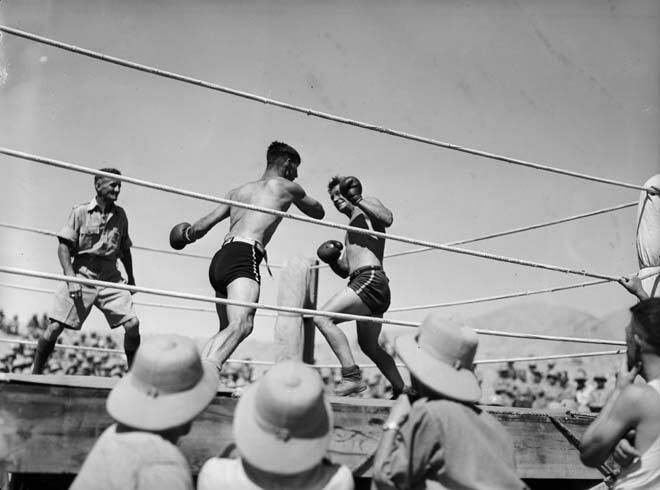 This is a featherweight bout at the New Zealand Division boxing championships held in Syria in June 1942. These tournaments drew big crowds of soldiers.